DenyAll Web Application Firewall (WAF) provides a multilayered approach to security services to dynamically detect and block malicious content while efficiently passing benign traffic through. 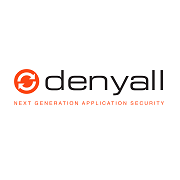 DenyAll Web Application Firewall provides a multilayered approach to security services to dynamically detect and block malicious content while efficiently passing benign traffic through. This all-in-one solution protects and manages multiple security solutions - Web Application Firewall, Web Services Firewall and Web Access Management - in a single management console (centralized administration station, monitoring, reverse proxy, etc.). The platform also provides cache, acceleration and optimization of your web traffic. Web Application Firewall (WAF): to protect the web applications vital to every business against external threats and to assure continuous service. Web Services Firewall (WSF): to protect the infrastructure, information networks and application servers against attacks while preventing denial of service and anticipating traffic overload. Web Access Management (WAM): to simplify Web access authentication while maintaining a high level of security, without agent deployment on the application server.